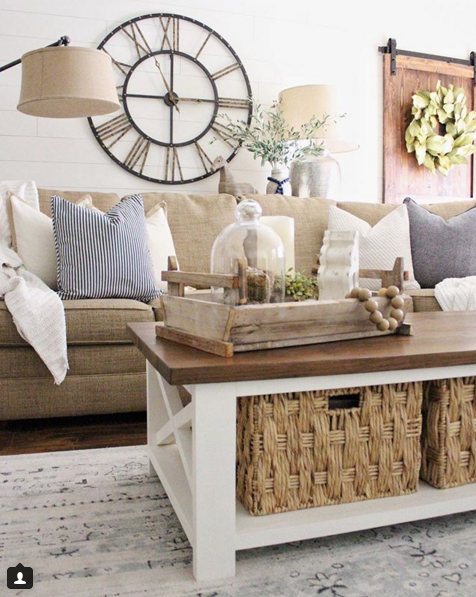 I love how Erin is transitioning her decor from Christmas to winter! 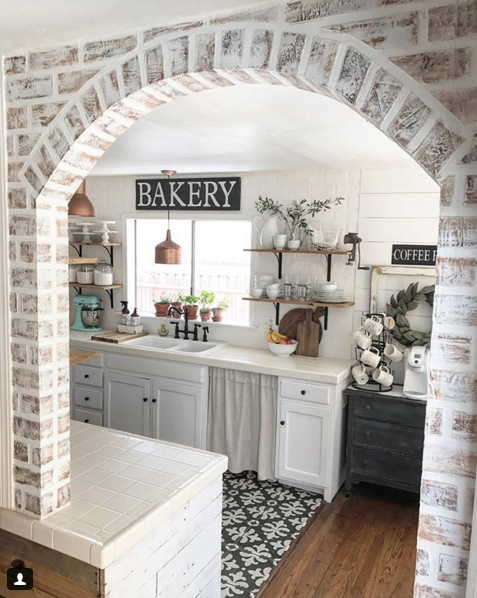 Jessica posted her DIY faux brick tutorial on her Instagram page too if you’re curious about how she made that amazing arch! 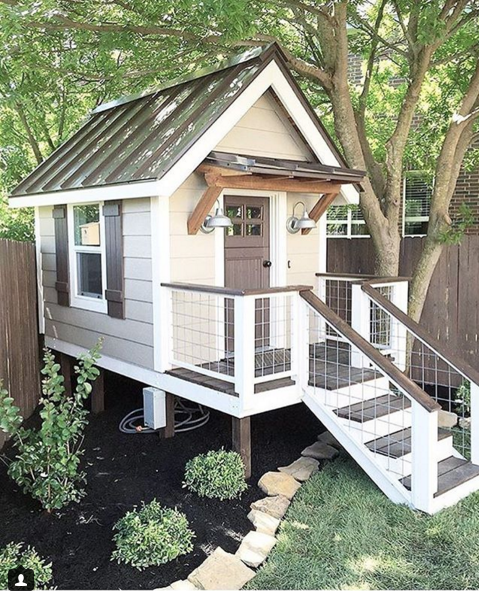 We have just enough room for a little “he shed” like this in our backyard and we’re sort of determined to make it happen…especially after seeing this pic! Cutest knife holder in all the land!! Previous Post: « My Dash & Albert Rug Samples! Super cute stuff happening on here today. Thanks for sharing! Lovely visions, especially love @cottonstem gorgeous cabinet! I always check your blog posts and basically LOVE everything you do, expecially to your own home. But I”ve been anxiously watching for news of your white exterior!!! We bought our home 5 years ago. It is a cottage style that has been chocolate/dark brown ever since it was built in 1960. It’s vertical board and batten siding and has a lot of details that you don’t even notice due to the brown on everything! 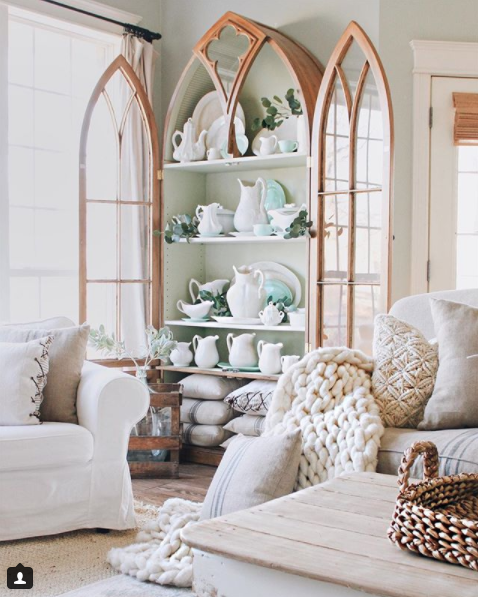 I want to paint it this spring….and I’m seriously considering white with a new stained wood front door. Although, Navy Blue exteriors have been popping up on Pinterest and I think that would look really good too, but with some of the trim a cream. I REALLY want to see your exterior!!!!! That knife holder is too cute. Love it! I am so in love with your Let’s Go series! I love the way your mind works! 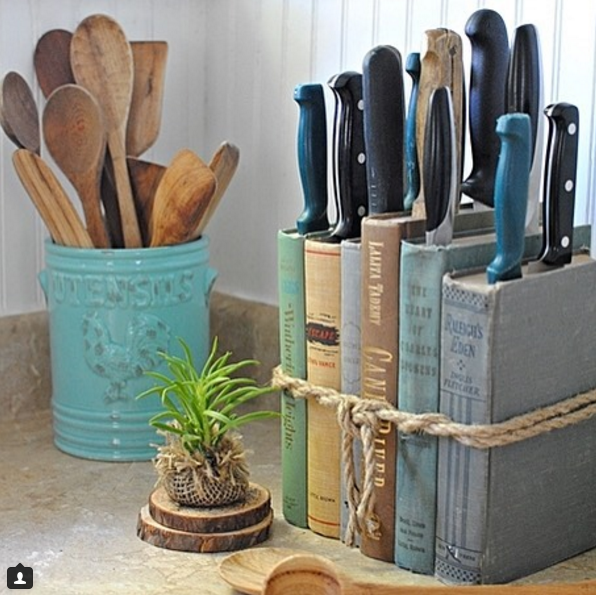 I agree..that knife holder is the fairest in the land, pure creativity! And the arch is awesome..we have an arch but not like this!! Thank you ever so much. My favorite is the knife holder!